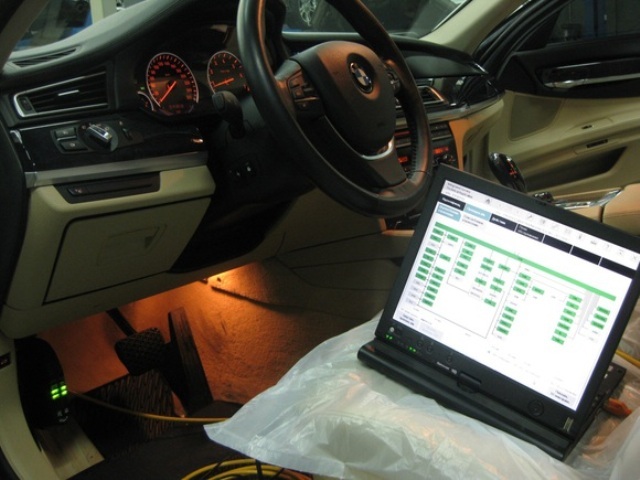 Errors on the BMW computer can accurately determine the fault present in the car system. Without the possibility of diagnosing a vehicle, the search for breakdowns would be more difficult. Today, we will tell you what BMW error codes mean, how to decode them correctly, and how to make an independent diagnosis of the car. 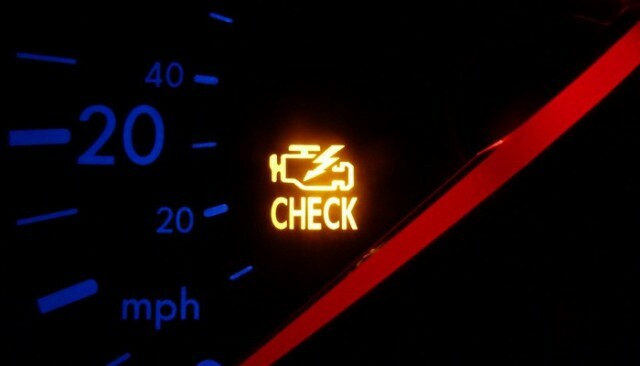 The BMW e39, e53, e46, as well as many others have a lot of sensors and other electrical devices, the breakdown of which can be learned through diagnostics. Checking the car for errors can be done both at a specialized station, and on its own at home. Unfortunately, this procedure is not cheap at the SRT, so those car owners who decided to test their on-board computer on their own, this instruction will come in handy. Personal computer or laptop (it is better to choose the second one, since it is more compact), in which there must be a COM port. Diagnostic equipment, in particular - the scanner Inpa or Carsfot. The official BMW diagnostic software (mainly for BMW cars is the DIS utility). So, you need to connect the Inpa diagnostic equipment to the laptop on which the DIS program should be installed and to your BMW's on-board computer. Having installed the correct software, you can start checking the BC (on-board computer) for any malfunctions. But checking the car is only the first step to eliminating the error. In the diagnosis on the screen of the laptop will appear certain codes that indicate the presence of this or that breakdown. How to understand them? In this case, you will need to decode the codes to know what exactly broke down in your car. In the case of BMW diagnostics, letters with letters may appear on the laptop screen. What do these letters mean? Here you need a translation from specialists, but our site has prepared for the BMW owners a decoding of the on-board computer codes. C - defect in the chassis. We will consider the fault codes most often encountered when checking the on-board computers of BMW. The car's onboard computer reports a defect in the air flow sensor, or an electrical device. On-board computer recorded a fault in the operation of the air pressure measurement device-sensor needs to be replaced. Recorded defects in the work of the suction air temperature control devices. Defective or incorrect working temperature sensor antifreeze in the cooling system for correct work it is necessary to replace the device. Registered incorrect work of one of the throttle position sensor, to eliminate the error, replace the element. Vehicle system fixed the problem in the functioning or the wrong message one of the oxygen signal sensors — on the car dashboard, you may receive incorrect information about the State of the system. In order to address the malfunctioning oxygen sensor needs to be replaced. You should also make a diagnosis of the electrical circuit. The car's onboard computer reports an incorrect operation of the heating oxygen sensor component. Incorrect air inleakage (fixed system too lean or too rich). On-board computer of car informs about incorrect operation or failure of the sensor. There is also a likelihood of an incorrect signal that requires verification of the electrical circuit. On-board computer has registered a fault in fuel control device or signal from the sensor is incorrect. Should replace component, but also check the circuit. 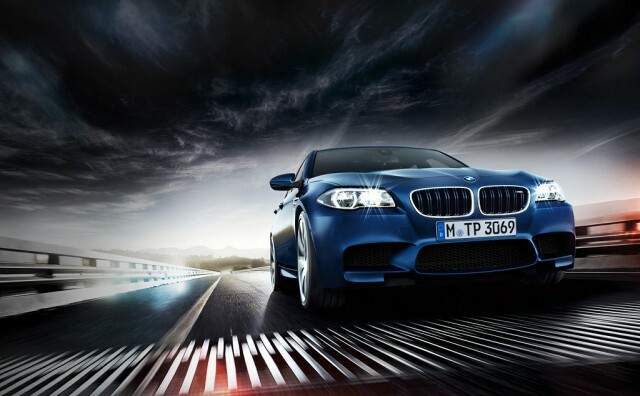 BMW System reports a too low or too high fuel temperature sensor signal or the signal from the device is out of range. This code indicates a malfunction in the circuit pressure control devices of diesel fuel in the ramp. Fixed incorrect signals into the circuit pressure control devices in the fuel rail. You must make the diagnosis circuit or replace the sensor. Indicate a defect in the work circuit temperature control component of the motor fluid in the system. Wrong message, which comes from the temperature control sensor motor fluid. You must perform a more thorough diagnosis of the sensor. Fixed defects in the work of the lubricant temperature control material in the engine. You should replace the component. System has detected a fault in the operation of the control devices, vapour pressure of diesel fuel. One of these combinations is indicative of the appearance of the device controlling the level of diesel fuel. In particular, it can be as a high or lower signal from component and its breakage. You should check the chain and, if necessary, replace the sensor. The system informs the driver about the defects in the device controls the airflow venting. Here also we can talk about infidels signals coming from the sensor, as well as in the event of a failure within the device itself. Therefore, you should make the diagnosis circuit and, if required, replace the sensor. The appearance of one of these combinations of digits when checking car can talk about identifying a defect in the device control of exhaust gases as well as incorrect signal coming from the sensor. Worn out valve exhaust pressure sensor. Need to replace the element. Reported incorrect crankshaft position sensor. You should also replace the component. On-board computer registered problem in the functioning of the first or the second sensor exhaust gas circulation system. You must perform a more thorough diagnosis of the element, and if necessary replace it. Defects in the device control the second throttle. The second sensor throttle there are inaccuracies: signal with this element is too low or too high. Inaccuracies in the functioning of the third sensor throttle — the device should be checked and, if necessary, replace with a new one. On-board computer reports on the occurrence of malfunction of electrical control circuit 1-12 nozzles. You should check the circuit. Recorded defects or wrong signals in the chain of offices in the first or second injector cold start of the engine. On-board computer fixed errors in the chain of control of the injection timing. 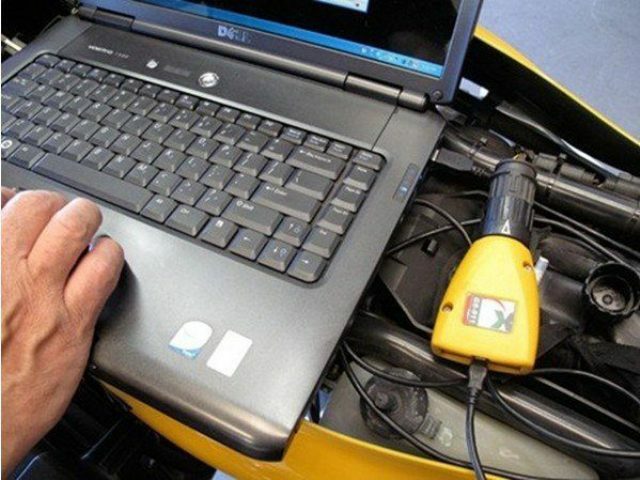 The car's onboard computer fixes the breakage in the circuit, defects in the driver or circuit circuit injector cylinder on the ground. The system informs about the detection of single or regular decals ignition in cylinders. Here the defect can occur in any of the twelve cylinders. This code indicates a defect in the work circuit Distributor. If you encounter this code On-board computer commits wrong signals in the chain of the Distributor. The signal may be too low, and high. In addition, it may be absent or is out of range.In this case, we recommend that you check the circuit. Fixed a problem in the functioning of the chain or defect in the work of the ignition coil. You want to check all twelve coils. Incorrect voltage supply circuit system: can be both too low and too high. Need more Diagnostics power supply circuit system. If you receive either of these two codes requires cruise control circuit diagnosis, since the signal chain is incorrect. Wrong signal circuits, there is a need for more thorough checks. The emergence of these codes when diagnosing vehicle reveals errors in the chain of first or second detonation. In particular, the signal can be outside the valid range, or too low or too high. You should check the knock sensor circuit. This combination of numbers on a laptop screen when checking car says about the circuit or the wrong signal in the chain crankshaft position sensor. You should check the circuit and replace the device. Fixed malfunctions in the operation of the camshaft sensor circuit. As in the previous case, the chain need to check or replace the component. Computer reports on the occurrence of malfunction of a circuit-level control devices pressure exhaust. In particular, the signal coming from the sensor may be out of range. It can also be too overpriced or undervalued. Need to more carefully check the components of the electric circuit. Fixed defects in the functioning of the cooling fan relay control circuit. The chain should be checked or replace the fan for a more correct work. There is no vehicle speed sensor signal. You can try replacing the device itself or to check the entire circuit. Having problems in the work of electric circuit control device regulation of idling. If you see this combination of BMW Diagnostics for troubleshooting, you should check the circuit regulator idling. Code r 1513 illustrated on the circuit the circuit to the ground. Problems in the work of the idling sensor control circuit. In particular, BC registered open circuit. Reports on the precipice of an electric relay control circuit a gasoline pump. For correct work it is necessary to identify where the breakage occurred and eliminate it. This combination is indicative of a precipice circuit immobilizer. Lost touch with immobilizer device. On-board computer announces a power signal from the controller. Spotted by incorrect electrical circuit a second crankshaft position sensor. One of these combinations of digits indicates the occurrence of malfunction the exhaust gas circulation system chain. There are defects in the electrical circuit of the second throttle sensor. In particular, the signal from this component is inaccurate, because it is outside the valid range. There are errors in the control circuit a gasoline pump. If auto is indeed present this problem, then start the engine is impossible. This combination is most often found in the BMW e46. This code says motor overheating BMW, i.e. coolant boils in the system for any reason. The first step is to check the quality of antifreeze, thermostat work, as well as the radiator cooling fan. This combination speaks about overheating transmission system. First of all you should check the transmission oil level. Registered relay fuel pump breakdown. There may also be a circuit within a circuit. In the case of the gasoline pump combinations may not work, resulting in engine start auto may be impossible. The relay must be replaced. Wrong signal of the secondary circuits of the fuel pump. Are having defects in the functioning of the solenoid bolt exhaust first turbine.Solenoid or always closed or opened. Can also be transmitted the wrong message from the component. Improper exhaust solenoid second turbine. As in the previous case, the component either always closed or always open, either with him goes the wrong message. Out of order all or one of the glow plug. There is a leak in the system of fuel vapor fixation. Emerged in the operation of blowdown valve defects system or fuel vapor fixation. Fuel leaked from the fuel system of On-board computer. Code 2a82 is one of the most common. 2a82, as a rule, occurs when the vehicle starts to tread, periodically twitch when dialing the revolutions. Code 2a82 indicates the need to replace or clean the solenoid valve valves. If you do not correct this failure in time, the work of the vehicle may not be possible. Presented deciphering codes and their translation - this is only part of all the errors that may arise in the process of diagnosis. If you find a breakdown and have replaced a particular part, you must disconnect and reconnect the battery terminals. If you do not, the error may reappear on the display screen. Disconnecting the battery terminals is a kind of reboot of the on-board computer system, so do not forget this.